Ron Stodghill | Motown Nostalgic. Rustbelt Refugee. Black Culture Aficionado. Ron Stodghill – Motown Nostalgic. Rustbelt Refugee. Black Culture Aficionado. Motown Nostalgic. Rustbelt Refugee. Black Culture Aficionado. 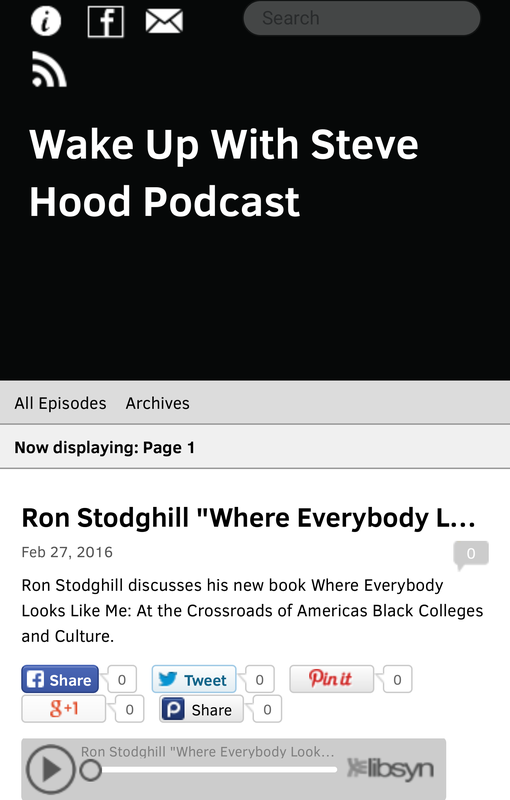 Stodghill discusses his work and offers commentary frequently in a variety of forums from book tours to community roundtables to guest appearances on radio and television. You can also find him on InnerView Media’s online channel. Find out here where Stodghill will be next, and what he’ll be talking out. An award-winning journalist, Stodghill’s work has appeared in numerous national newspapers and magazines including the New York Times, Time, Business Week, Essence, Ebony, Black Enterprise, and Slate. He writes on a variety of topics; among his favorites are business, leadership, race, and class. Where Everybody Looks Like Me featured on Wake Up with Steve Hood! Reporting in Cuba for a NY Times piece. Ron enjoyed the beauty off the coast of Seward, Alaska during a writer’s retreat.